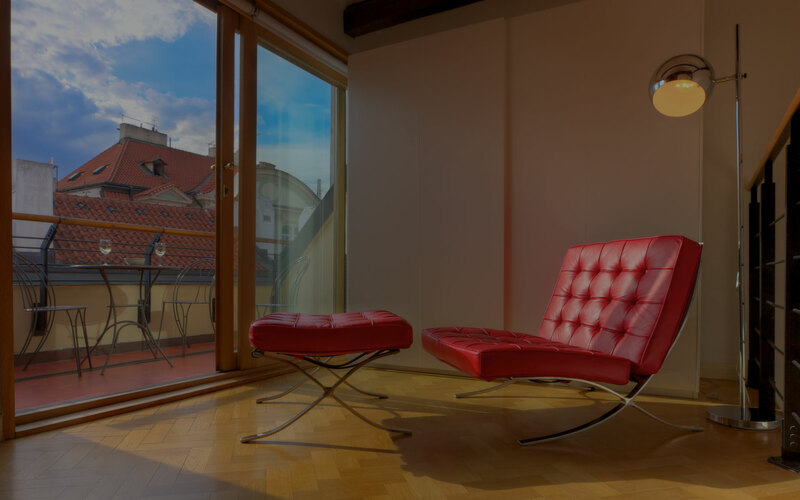 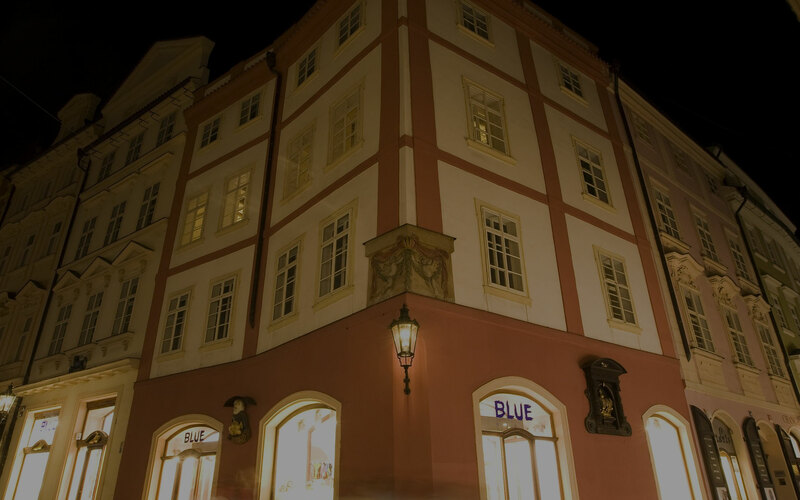 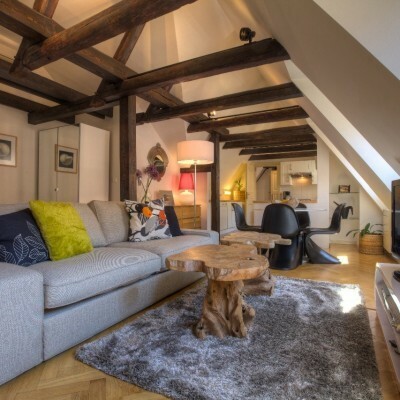 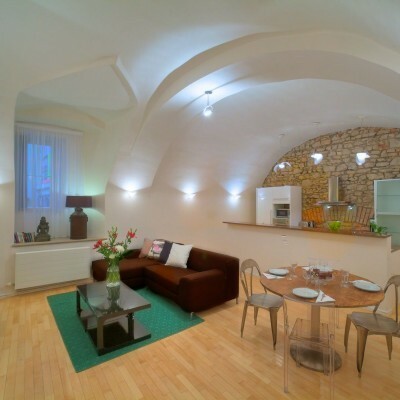 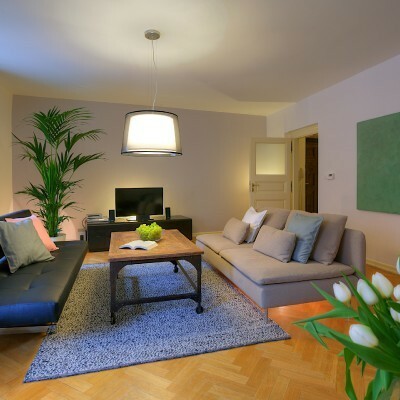 These premium holiday apartments are located in the center of Prague directly off of Old Town Square. 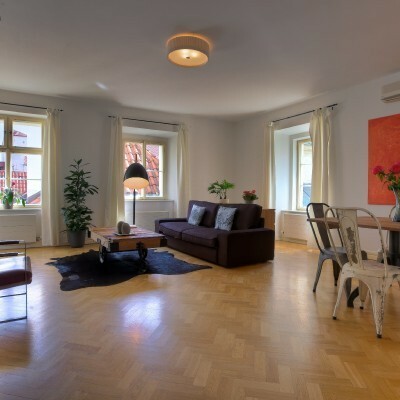 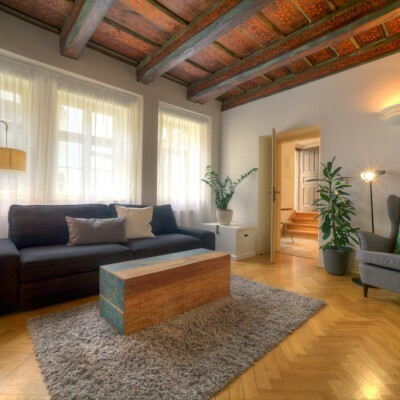 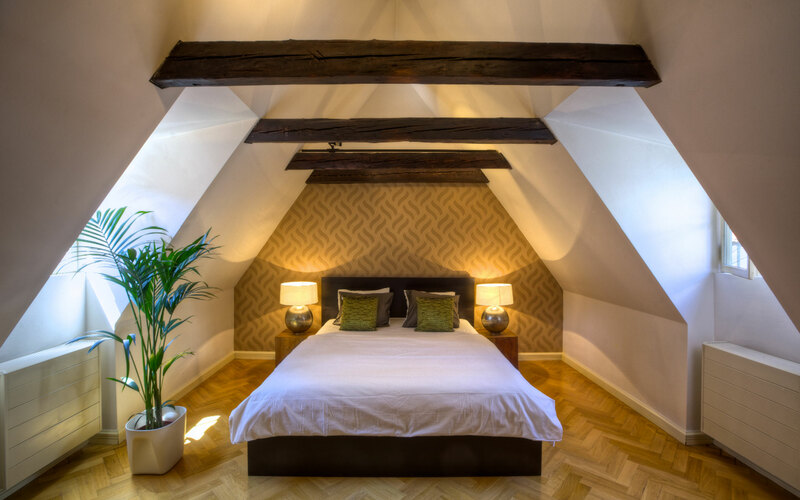 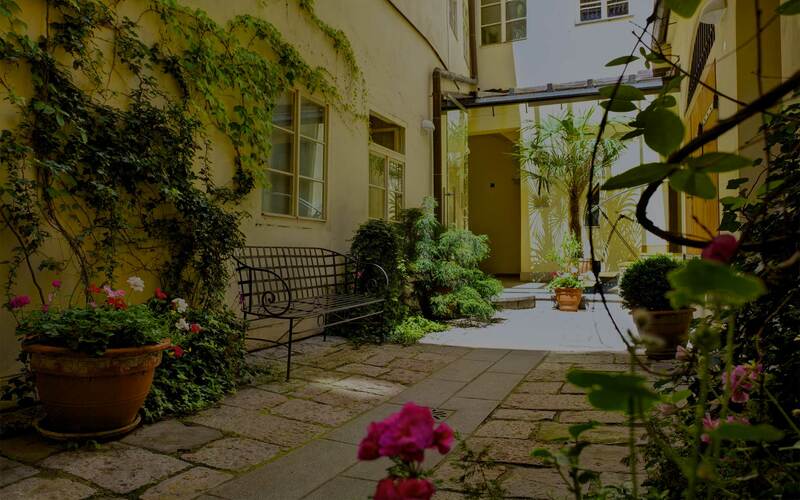 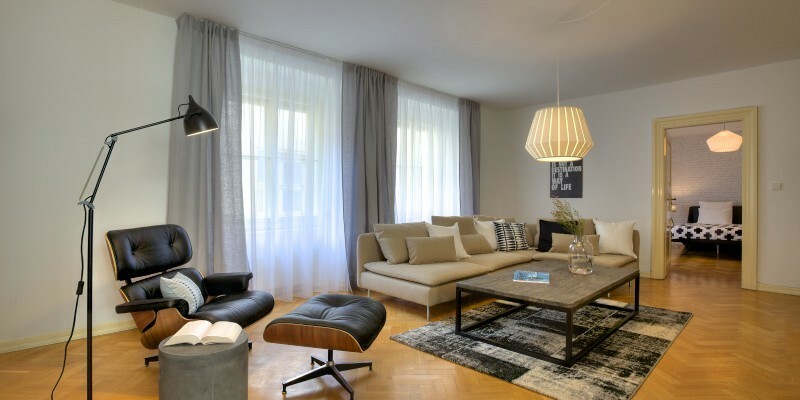 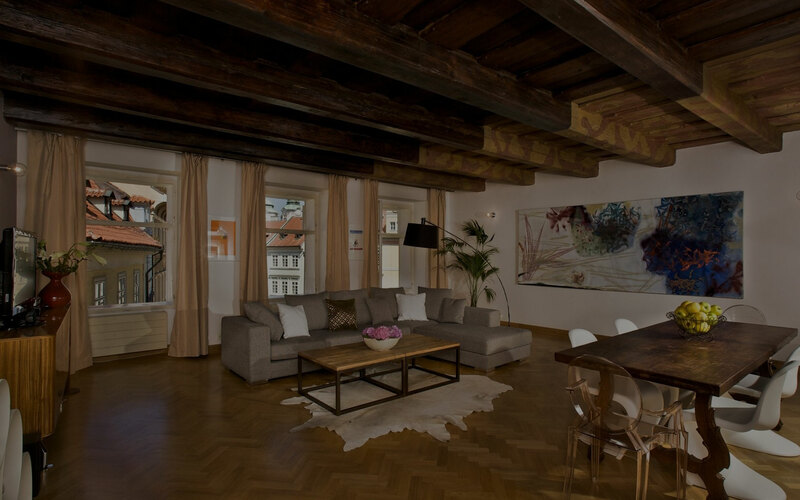 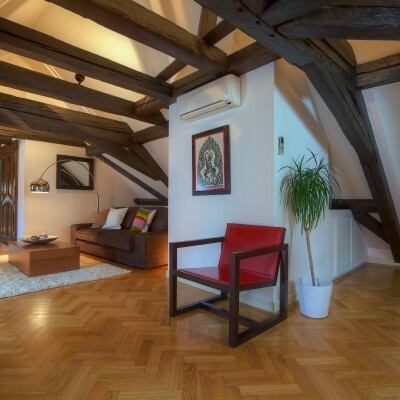 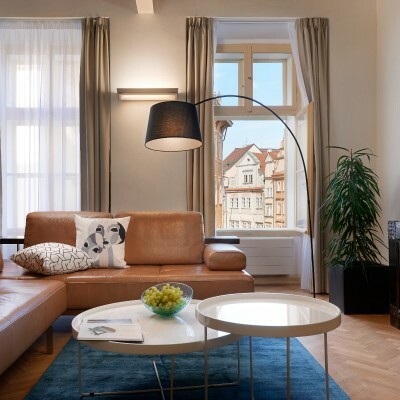 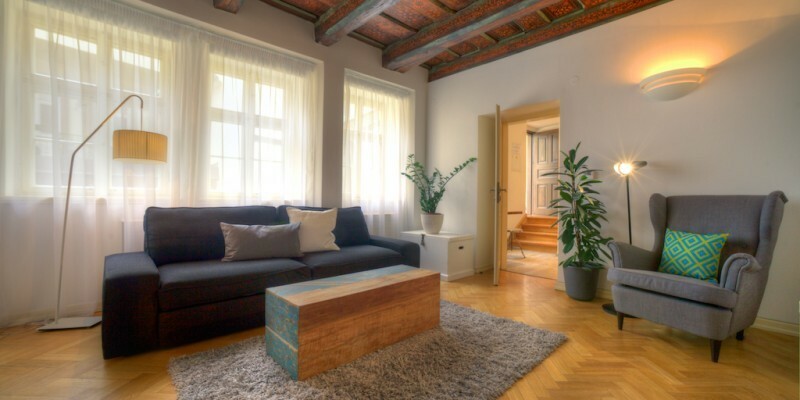 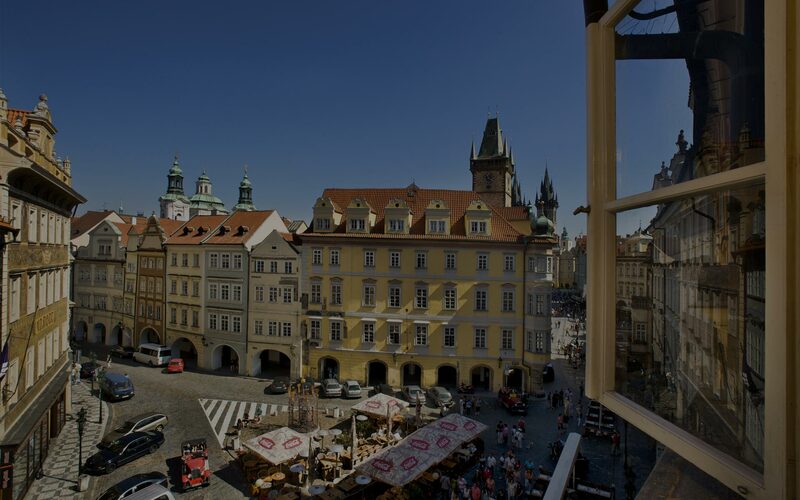 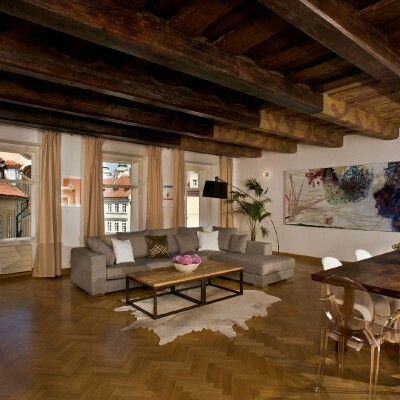 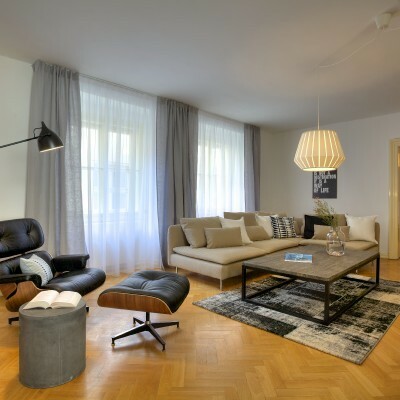 Situated in two meticulously renovated buildings that date back to the early 15th century, these beautiful apartments boast Old World charm and are a great place to call your temporary home in Prague. 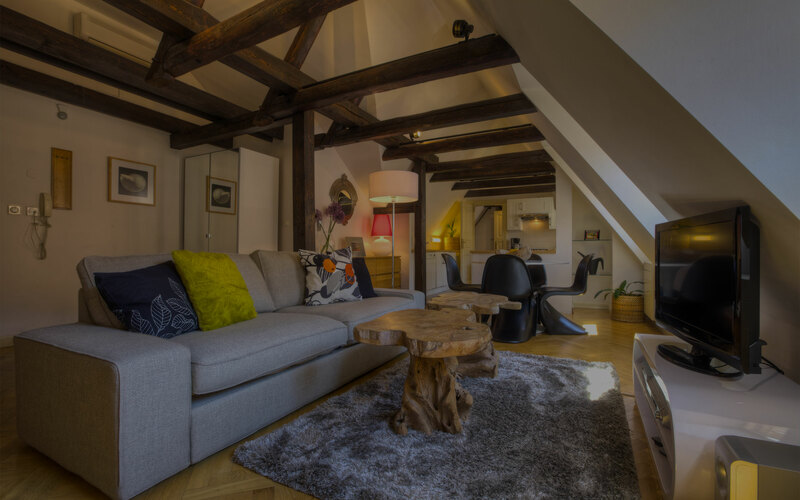 The fully serviced apartments are housed in two different buildings with 24-hour reception, each with their own charm and character. 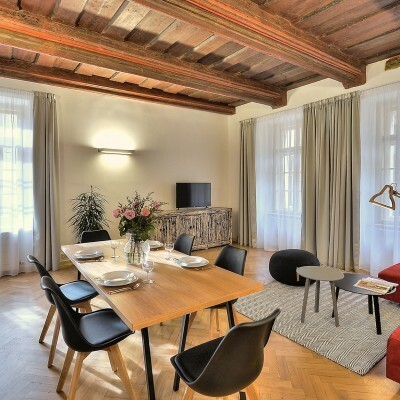 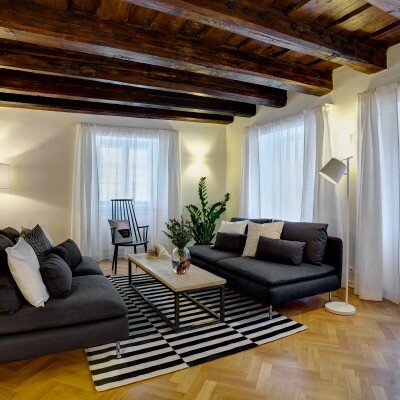 The apartments are stylishly furnished and decorated, with the majority of them boasting original wooden ceiling beams; some apartments feature painted decorative ceilings. 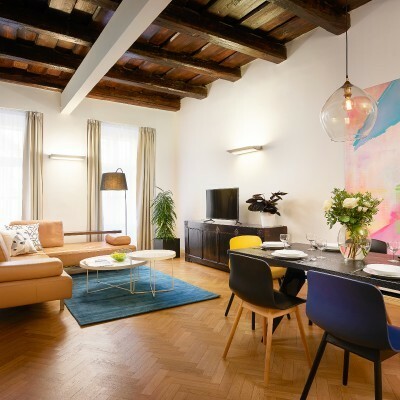 Amenities include free Wi-Fi Internet, 24-hour reception, air-conditioning (in certain apartments), lift, satellite TV, washing machine, weekly cleaning, bed linen and towels.